This is an EXCITING approach to “normalize” a difficult-to-discuss topic for adults and teens! We “child-proof” our homes to prevent an accidental crisis/death and we know various emergency crisis procedures to prevent accidental death: 1) Heimlich Maneuver (for choking), 2) CPR (cardio-respiratory failure) and other first aid responses, 3) home fire escape plans, and 4) 72 hour emergency preparedness kits. This is what we need to do, as a society, to address suicide crisis. Death by suicide may be prevented if we know how to suicide-proof our homes and learn easy first aid crisis interventions. This interactive website was developed by the Rhode Island Department of Health and their partners with a SAMSHA grant. “Risk and protective factors play a critical role in suicide prevention. For clinicians, identifying risk andprotective factors provides critical information to assess and manage suicide risk in individuals. For communities and prevention programs, identifying risk and protective factors provides direction about what to change or promote. Many lists of risk factors are available throughout the field of suicide prevention. Cite as: Suicide Prevention Resource Center, & Rodgers, P. (2011). Understanding risk and protective factors for suicide: A primer for preventing suicide. Newton, MA: Education Development Center, Inc. 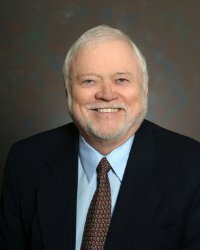 This paper was written by Philip Rodgers, PhD, evaluation scientist for the SPRC/AFSP Best Practices Registry for Suicide Prevention, and funded by the SPRC. SPRC is supported by the U.S. Department of Health and Human Services, Substance Abuse and Mental Health Services Administration (SAMHSA) under Grant No. 1 U79 SM57392-05. The opinions, conclusions, and recommendations expressed are those of the author and SPRC, and do not necessarily reflect the views of SAMHSA or any of the reviewers. 10 Ways to Start a Kindness Revolution! Remember… We can change the world because we ARE the world. Here’s my challenge to you–Choose just one action step from the list below and practice it once a day, every day for a week. At the end of the week, take a few minutes to notice the difference in how you feel about yourself and the world. For the second week, choose another action step from the list below and add it to your original choice. Practice both actions, once a day, every day for one week. Again, take the time to notice any changes in your attitude about yourself and the world. In the third week, add another action step from the list and practice it daily along with the others for one week. This is what it’s going to take to change the world–each one of us choosing to practice acts of kindness, every day, every week, everywhere. Remember that small acts can have big effects. Accept the kindness of others. Listen, listen, listen—instead of talking about yourself. When action is called for, act! Offer companionship in whatever form it is needed. Talk about the hard stuff in your life so others will feel able to talk about theirs. LIVE KIND. CHANGE THE WORLD!